ATTENTION COLLECTORS! Used Canadian Brass (Getzen) Bb trumpet in gold lacquer. 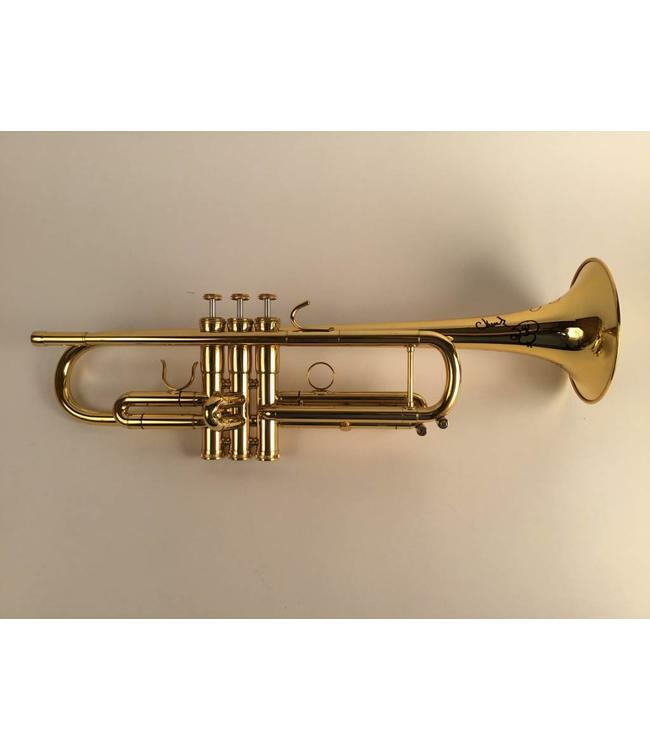 This trumpet is in mint condition and has (along with its' original case) been signed by all of the members of Canadian Brass that were in the group at the time of signing (Fred Mills, Ronald Romm, David Ohanian, Gene Watts and Chuck Dallenbach). All of the signatures are extremely clear and vivid. Not only are these trumpets increasingly difficult to find, but especially so in mint condition and with these signatures!! !